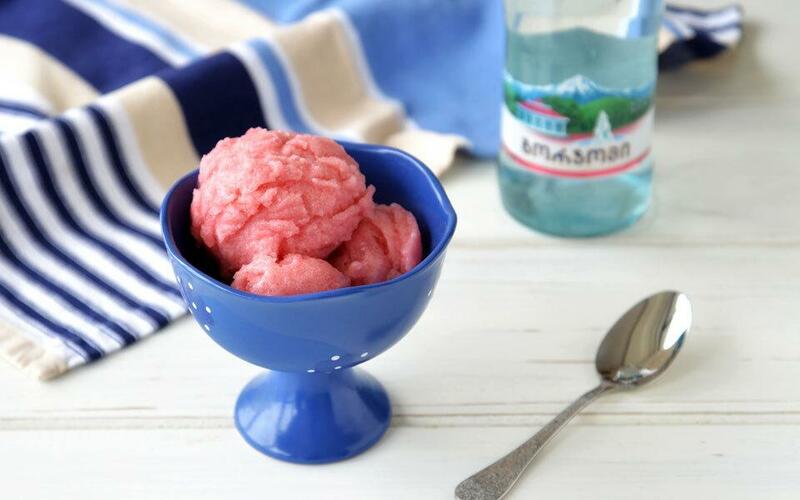 The most refreshing and healthy dessert for summer – Sorbet. 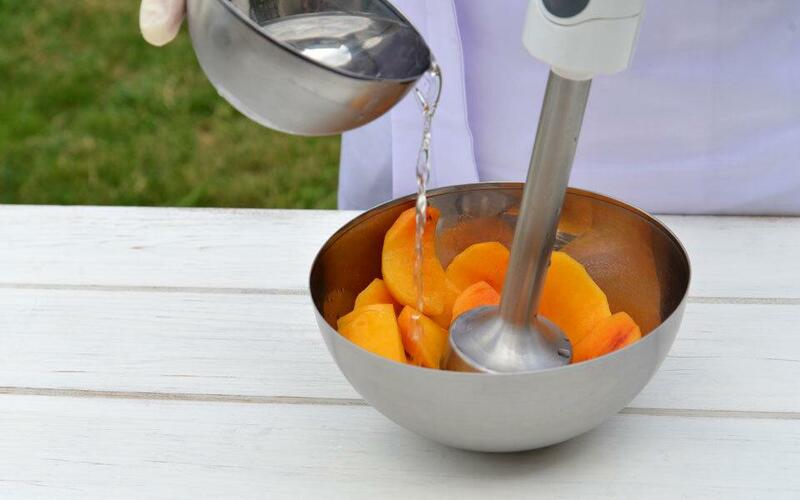 Unlike traditional ice cream, sorbet is made from a fruit juice and doesn’t consist any dairy products. Place in pan water, sugar, and glucose. Bring it to a simmer until sugar dissolve. Then add chopped mint to the mass. 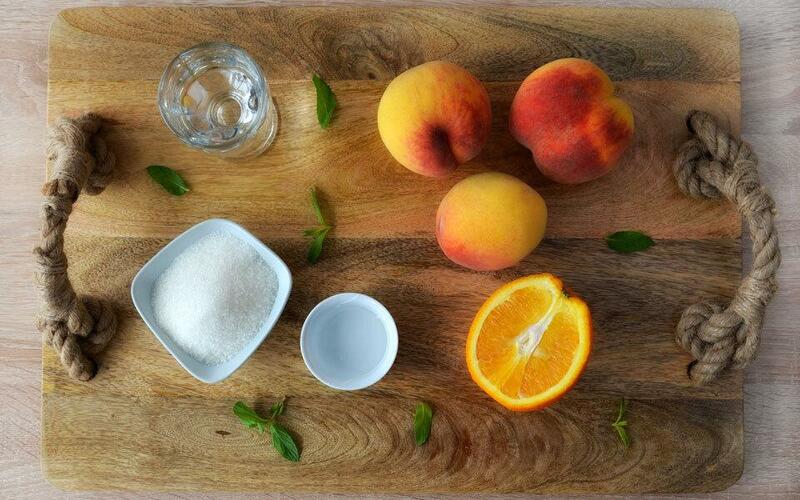 Clean the peach from skin, and mix it in the blender. Add sugar syrup, lemon and grapefruit fresh. Mix it all together. Place the mass in a vessel and leave in freezer for the whole night. Stir the first couple of hours in every 30-40 minutes.